UP165SM Features: -FitTech collection. -Mounting type: Surface. -Metallic and black design. -Beautiful sleek designs and soft curves compliment any space. -High tech spring and magnetic bearing resistance. -Manufacturer provides 2 years limited warranty. 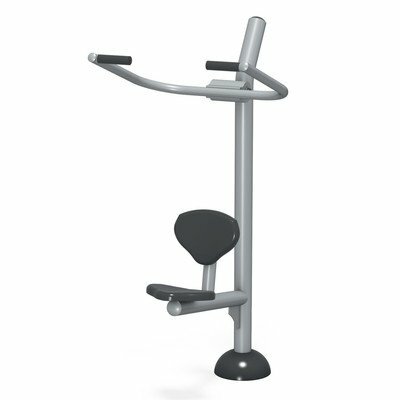 Product Type: -Pull-Up Bars. Hand Grips: -Yes. Dimensions: Overall Height - Top to Bottom: -72". Overall Width - Side to Side: -32". Overall Depth - Front to Back: -40". Overall Product Weight: -113 lbs. If you have any questions about this product by ultraPLAY, contact us by completing and submitting the form below. If you are looking for a specif part number, please include it with your message.